NNGC 7547: SBa/P, 65Mpc/210MLy, NGC 7549: SBc/P, 64Mpc/200MLy, NGC7550:E-S0, 69Mpc/220MLy, NGC 7553: E, 69Mpc/220MLy, NGC7558:E-S0,110Mpc/380MLy. Exposure date: August 28th … October 22th, 2009 and September 9th… 25th, 2011. 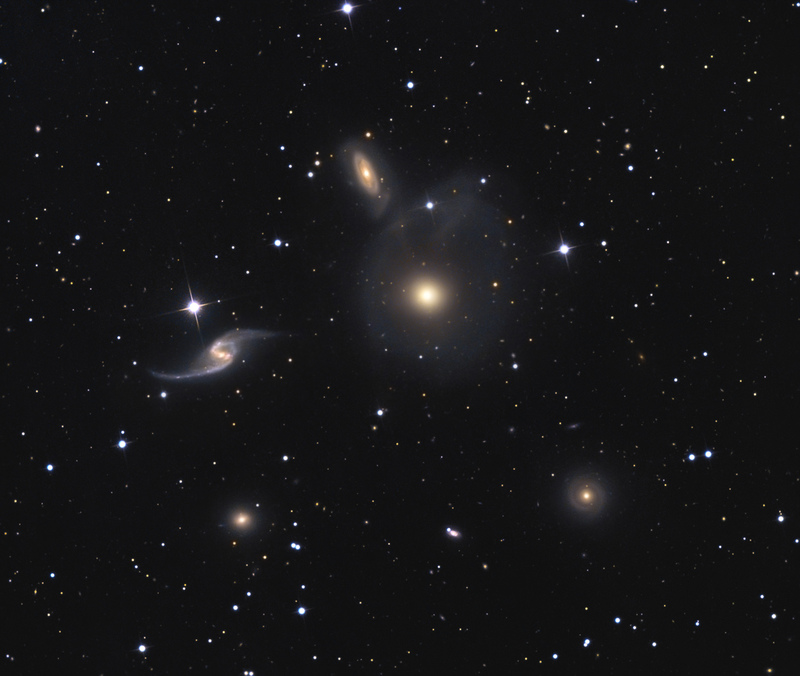 From left to right the five biggest galaxies in the image are NGC 7549, NGC 7553, NGC 7547, NGC 7550 (main galaxy) and NGC 7558. Von links nach rechts sind die fünf größten Galaxien im Bild NGC 7549, NGC 7553, NGC 7547, NGC 7550 (Hauptgalaxie) und NGC 7558.